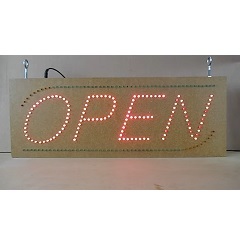 "In this open source hardware and firmware project, an LED “Open” sign is built using an ATtiny2313 microcontroller. This is the type of sign that would typically be used in a shop or restaurant to show that it is open for business." True is an absolute design.